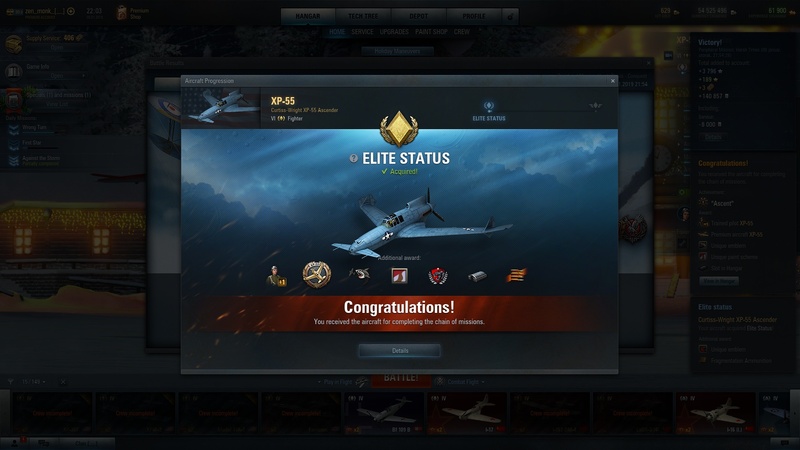 I went away from 'wot' because of overpowered tanks that killed the game, now I arrive in 'wows' and I find the new xp-55. I'd like to talk to the genius who had the idea to put this killer in play, i think with those turns at that speed the pilot should have an astronaut's anti-G suit. With a just decent player he decides the game in his favor almost every time. Another time again wg demonstrates his willingness of 'pay-to-win'. Years go by but the desire to earn quickly always remains. As much as you are right about power creep, you're wrong about pay-to-win. Literally everyone can get this plane for free. Not sure how different it is from a A6M5 Reisen or a Spitfire Mk V though. Reisen sacrifices speed for even more turning and bigger guns. Spitfire sacrifices less speed for even more dakka while having the same turning. I have no idea why you think that xp-55 is overpowered? It is very similar to Spitfire, with same turn rate and practically same speed, and guns are weaker in theory. If xp-55 fells overpowered it is because now it is usually operated by the best players. Literally everyone can get this plane for free. Everyone in a time. And everyone should save tokens for occasion like this. And regarding you-know-what, you have working mouse and keyboard, right? Suppose there was a mouse/keyboard-bug and not a joystick bug, would you switch to joystick ? If I own one, I would. But I don't. So if there was mouse/keyboard bug I would just have to stop playing, along side of I dunno 95% of server population. Than they would have to fix the bug. But you have the choice. You can chose to keep complaining on forum, that is only red by players, or to chose to switch to mouse. Or you can go to Russian forum and complain there, maybe developers read that one? I got a really old joystick, but I don't particularly enjoy using it in WoWP. Probably because I'm not even closed to used to using one. As for if I'd switch due to a bug? Maybe, but probably not. Isn't that often the case with newly introduced planes? I know that it is the case with WoT. 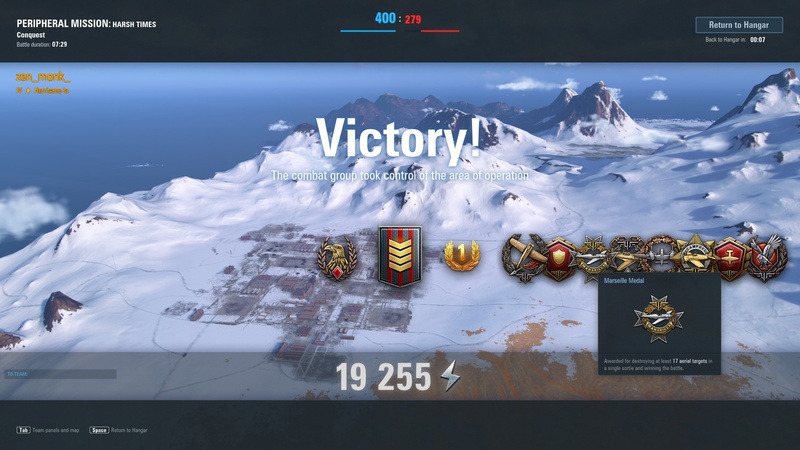 A player I know who's a fair deal better than I didn't manage to ace a tank that I did ace, simply because he played it like a week after release while I only months later. As a joystick user myself I'm happy to see Goner bringing it up and thanks to his advice I get the bug only 1 in 5 games now instead of every game, it costs me an extra 5 second in the sin bin but keeps the game playable for me. I would not be playing if the only option was go M+K..dog, old, tricks. Than they would have to fix the bug. Oh ... and now they don't ? Because it's just a small (??) group of players ? Maybe. Or it is not priority. Or they can't detect the problem. Or maybe they don't know that problem exist. I am not Persha developer, so I have no idea why. Except that new CC guy stated that it's one of their higher priorities to fix? As it stands, its speed and manouverability are about average: nothing too hot, not too bad. Yet you are still not a speed demon nor a true turner and the Republic multiroles still climb better, so it doesnt bring 12,7mm firestarters to being best heavy hunters either. All in all it is a solid, standard performance, average premium plane that is outperformed in any one role by tech tree planes. Top priority even, he claimed ... and after that (1 week ago) : silence. Edited by GonerNL, 08 January 2019 - 11:10 AM. I’ve tried doing this in the opposite direction. Once you’re used to a controller swapping to another is effect relearning how to fly. It’s just not an option, CheefCoach. In my view the Ascender is a good plane, certainly with respect to manoeuvrability. What keeps it this side of overpowered, in my opinion, are the relatively weak guns, which are reminiscent of the Mustang’s though the mounting makes them more accurate. Edited by 11poseidon11, 24 January 2019 - 03:10 PM. Don't think it is very OP, already killed some. Tokened out Efimov and turret kills missions. Edited by zen_monk_, 08 January 2019 - 09:18 PM.